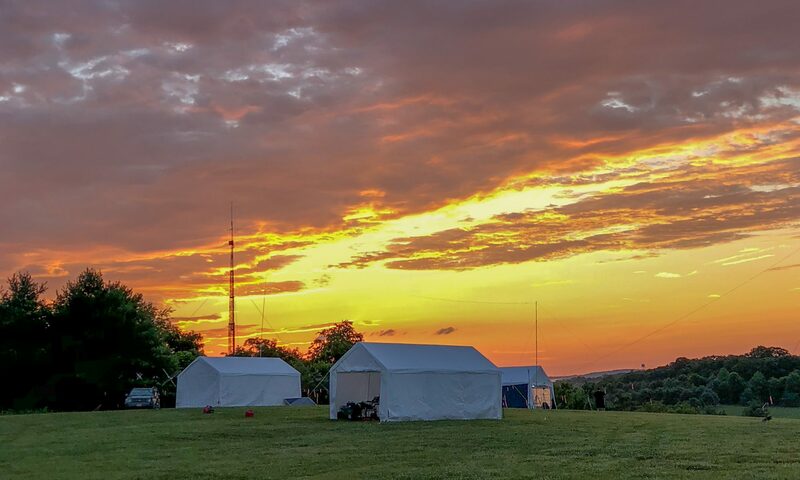 2019 LARG Amateur Radio Class Announced! The LARG Education Committee plans to hold a series of eight weekly class sessions plus a testing date for the General Class Amateur Radio License starting on February 21, 2019, for persons currently holding a Technician Class License. The class sessions will be held on Thursdays from 6 to 8:30 PM at the Leesburg VFW Hall, 401 Old Waterford Road. The license examination session will be held on the Saturday, April 13th, 2019, after the last Thursday class session. Experienced Radio Amateurs will give students the information needed to be able to pass the General Class license test. Information will also be provided on what you need to do to upgrade your license to the next level — the Extra Class license. Obtaining the General Class license requires that you have already passed the Technician level exam and currently hold a valid Technician license. Registration for the class will begin on 21 January 2019 and will close on 14 February 2019, a week before the class starts. Register early as class size will be limited. If the class size is exceeded we will put you on a waiting list and contact you if a slot becomes available. You must purchase, and have in your possession, the ARRL General Class License Manual for the class prior to the start of classes. There are other authors who publish “License Manuals” but we will use the ARRL manual for this class. You can purchase it from the ARRL or another outlet that sells them. Be sure to buy the 8th Edition which is the current edition. Pictured above are some of the newly licensed Hams from our Fall 2017 Technician and Extra 2018 classes. Register for the class by printing the registration form and completing it (the link is found below). The fee for the course is $20.00 which will be applied to the license testing session if the student completes the licensing class. Send your registration form along with your check made out to the “Loudoun Amateur Radio Group” to The Loudoun Amateur Radio Group, PO Box 1004, Purcellville, VA 20134. Click on this link to go to the registration form and print it. Registration forms and fee must be received by 13 February 2019. If you have any questions, contact the committee at education@k4lrg.org. If you use one of these sites now or have used one or more of them in the past, please let us know which ones you like the best. Also, if you know of other sites that you like and they are not listed here, please let us know. Email us at education@k4lrg.org and we will add them. Do you want to volunteer to help with instruction in the LARG Amateur Radio Licensing classes? Click on this link to see LARG’s instructor criteria. Contact the LARG Education Committee to volunteer. Use education@k4lrg.org to contact the committee.